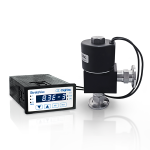 This highly useful vacuum instrument not only measures vacuum from Atmospheric pressure down to 0.001 Torr, but also has relay controls and analog output for easy integration into systems. 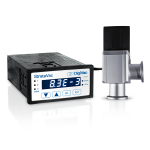 5V analog output and RS232 vacuum indication which enables integration to a wide variety of systems. This highly useful vacuum instrument measures vacuum from 1 – 1999 microns. Includes relay controls and analog output for easy integration into systems. The StrataVac 2018 with throttle vacuum control comes with a gauge card, gauge, throttle valve controller card and throttle valve. This bundle comes with a plunger-type valve which has a smaller orifice giving you tighter control on your process.